Wivenhoe Sailing Club is located on the north bank of the River Colne some four miles upstream from Brightlingsea. There are visitor pontoons at the club and visiting yachts may stay on the inner side of the pontoons for up to 48 hours. 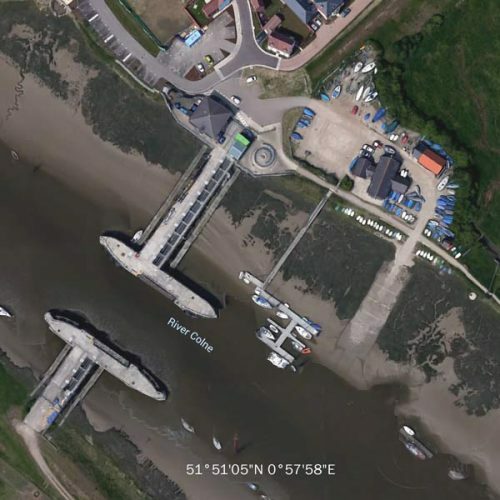 The outer side of the pontoons is shared with the Wivenhoe fishermen and yachts should restrict their stay on this berth to 20 minutes. 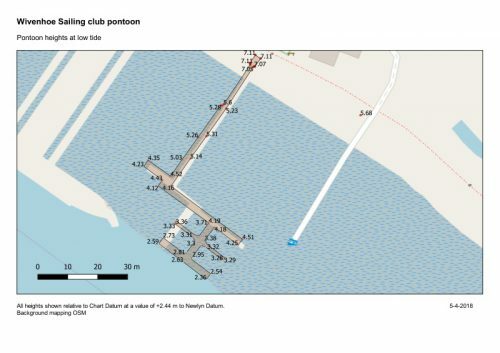 Depending on draught, the pontoons are accessible approximately 2 hours either side of high water, but be warned of a strong ebb on spring tides. Please note that the berths dry at low water. The pontoons are available to visiting yachts on a “first come” basis: there is no booking system and no charge for using the berths (although donations from visitors are welcome). Visitors may use the club facilities: key available from club members. Potable water is available on the pontoon. Pubs, restaurants, fish & chips, cafe and deli about 400m, supermarket 900m. The nearest fuel supplies and chandlers are at Brightlingsea. Click here for chart depths.